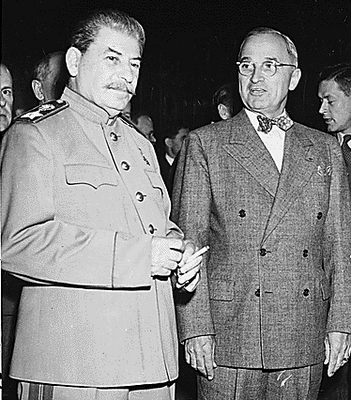 President Truman discloses the existence of the atomic bomb to Stalin (who had already been informed about it by his spies). Meanwhile, General Leslie Groves drafts the directive authorizing the use of the atomic bombs as soon as bomb availability and weather permit. It lists the following targets in order of priority: Hiroshima, Kokura, Niigata, and Nagasaki. This directive constitutes final authorization for atomic attack, no further orders are issued. Also, The U-235 target for Little Boy is cast at Los Alamos, NM.